Microsoft confirmed earlier this week that it's working on the next generation of Xbox consoles, and today we have some possible details on just what we're in for come the next round of Xbox One. Microsoft's next-gen Xbox project is codenamed Scarlett, reports Brad Sams of Thurrott, who viewed content relating to a number of as-yet-unannounced devices Microsoft intends to release over the next couple of years. Earlier, we reported on another Sams' scoop, this time about the next version of HoloLens and its potential early 2019 release. 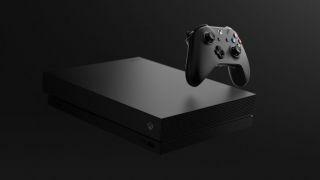 According to the site, Microsoft will launch its next-gen Xbox console in 2020. But this won't just be a singular Xbox Two. Instead, Scarlett is apparently a family of devices, so there could be multiple Xbox consoles and/or other kinds of devices and accessories related to Xbox gaming hitting store shelves in two years' time. By November 2020 the Xbox One X will be four years old, which is young in terms of console lifespan. But, with Sony expected to launch the PS5 in the next few years – and 2020 seeming likely for that console's release date – Microsoft no doubt wants to steal a bit of PlayStation's thunder with new gaming devices of its own. We'll have to wait and see if new leaks tell us any more about the Xbox Two family of devices. Chances are, this is the first of many leaks related to the new hardware. In the meantime, here's what we learned from Micorsoft about its plans for the coexistence of cloud streaming services and consoles at E3 2018.